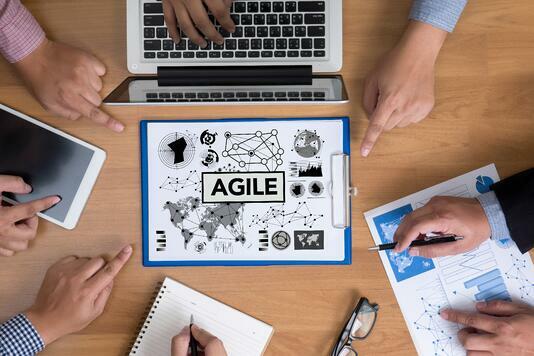 As Don noted, “Agile won’t fail because of its techniques; it will fail because people don’t recognize it’s a transformational change that completely alters how the organization operates—in IT, the PMO, and in the Business.” Like all transformational changes, it can’t be done incrementally, because that teaches the organization that doing things the old way is still okay. It can’t be totally safe. And once you start the journey, you can’t go back to the old way. You can’t do ½ Agile. Agile is a mindset, just like Lean, or safety. If results suffer, it will be because the organizational mindset hasn’t changed. Agile requires a new definition of success that is based on achieving business value for the project. Simply put, the job is not finished until you get to business value. This has a major impact on what you measure. Remember the AIM principle: “You can anticipate the most resistance from those with the highest vested interest in things remaining the same.” In the case of Agile, that means you can anticipate the most resistance in mid to upper management in the IT, the PMO, and the Business! You can anticipate much more resistance from mid-management up, compared to mid-management down. No team is finished until you get to business value, or what we call system optimization. That means you will need durable, sustained Sponsorship from the project start all the way through the Agile project lifecycle! Sponsors have the most impact on both speed and quality, and their actions need to be driven by what is needed to achieve business value. There is no doubt that for many Sponsors, this is very different! From a change management perspective, you will need to apply resources to build Readiness both within the project team and the organization. If you don’t focus on building Readiness, know that you will pay for it later with resistance. There is no other payment option. The good news is that Agile requires heavy involvement, which leads to feelings of control, and helps to manage resistance. But as Don pointed out, how you start to build Readiness is different in Agile compared to other projects. The Agile model is a 6 step process: Plan, Design, Develop, Test, Deploy, and Monitor. 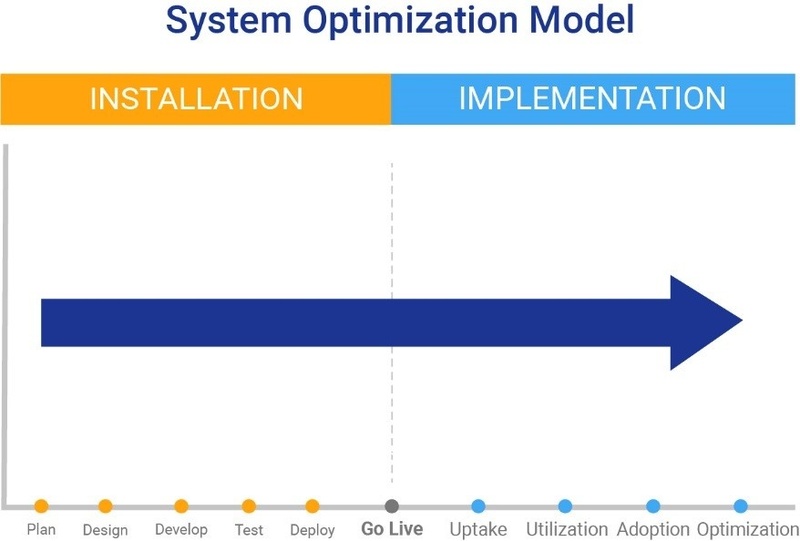 But be aware that the Deploy step is actually a 4-stage process: Uptake, Utilization, Adoption and Optimization. In an Agile environment, the integration of change management and project management starts at the beginning. Running the two plans in parallel, or waiting until each Sprint is over, and then handling the people-side of the project is not going to work. Instead, change management principles, tools, and deliverables need to be blended together with your Agile project from the start. Agile is not an adjective, and it’s not a training course. It is a continuous improvement process, not unlike Lean, that will cause your entire organization to think in a new way. The AIM Change Management process was developed with similar goals in mind. AIM is a fit-for-purpose change management methodology built to increase speed in a culture of constant change and improvement. The two processes marry together in a perfect fit. Implementing them together just makes good business sense.